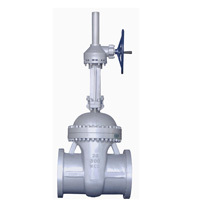 Products - Zhongquan Group Valve Co., Ltd.
Gate valve are designed for installation on the pipeline. So they are widely used in petroleum refining, long-distance pipelines, chemical, papermaking , water conservation, electric power, steel industry and other industries. Butterfly valve are used to cut or connect the pipe media. So they are widely used in petroleum refining, long-distance pipelines, chemical, papermaking , water conservation, electric power, steel industry and other industries.